As Freddie is getting old, he loves tummy time and sitting up. 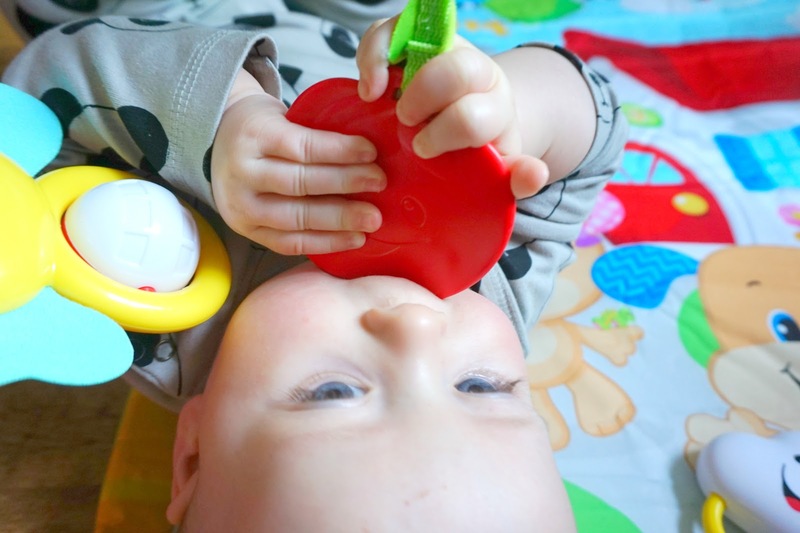 His grasping skills have improved as the weeks have gone by and he loves grabbing toys and putting them straight in his mouth. 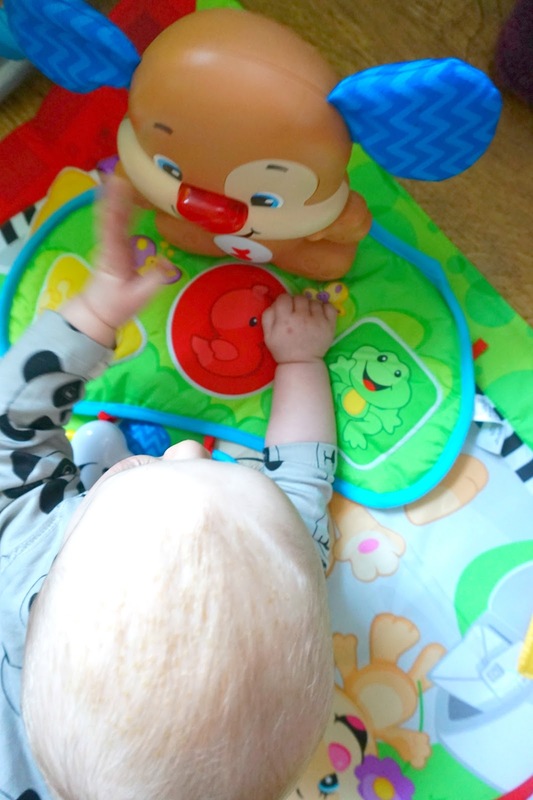 He takes more of interest into toys now, especially if they're brightly coloured. 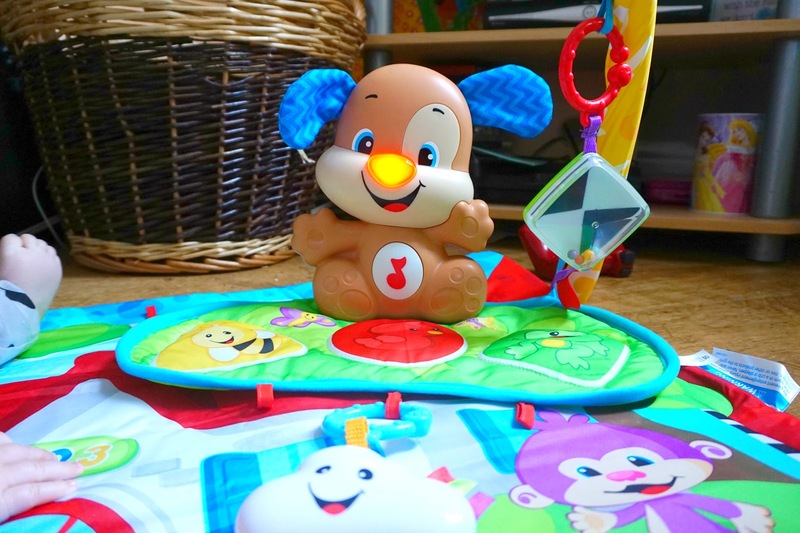 We were sent the Fisher-Price Puppy 'n Pals Learning Gym to review. 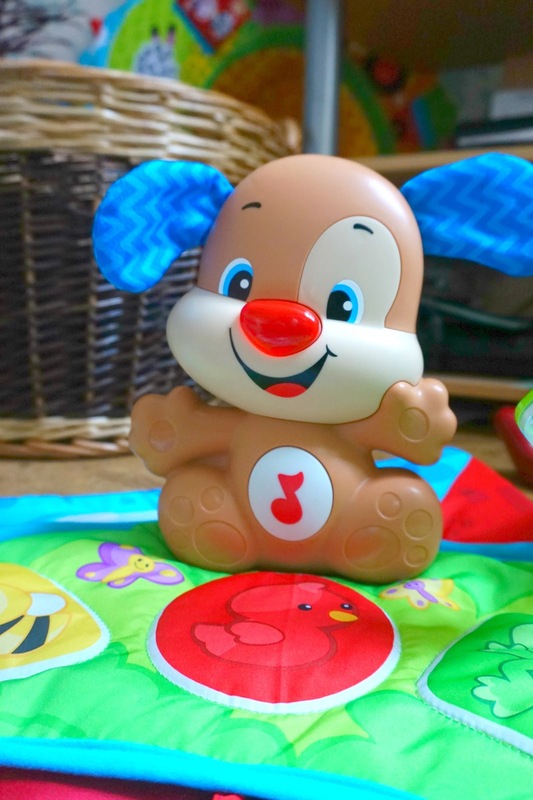 The first thing that caught my eye and my main reason for wanting to review this product was because of the singing Puppy that comes with the play gym. It looked perfect for Freddie's age now as he loves to sit up. The gym was quite easy to get out of the box and put together. It's also very simple to keep too. 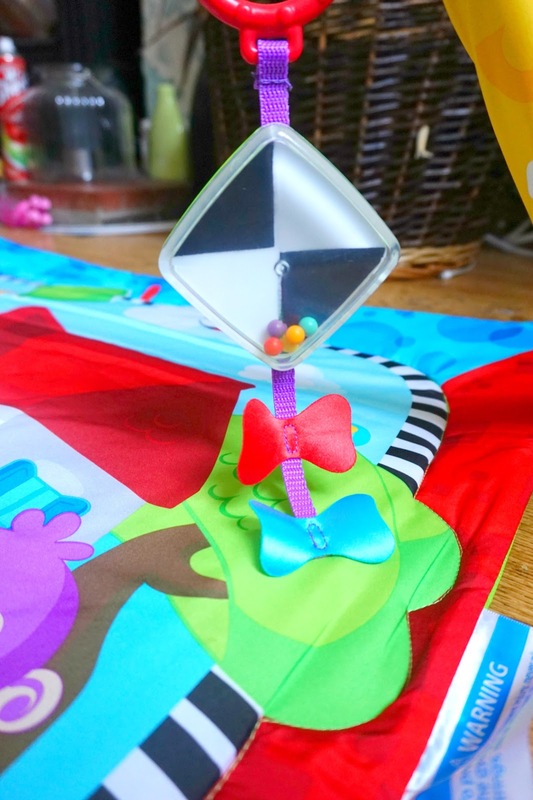 From opening it, the bright colours caught my eye straight away, and I knew instantly that Freddie was going to love it. 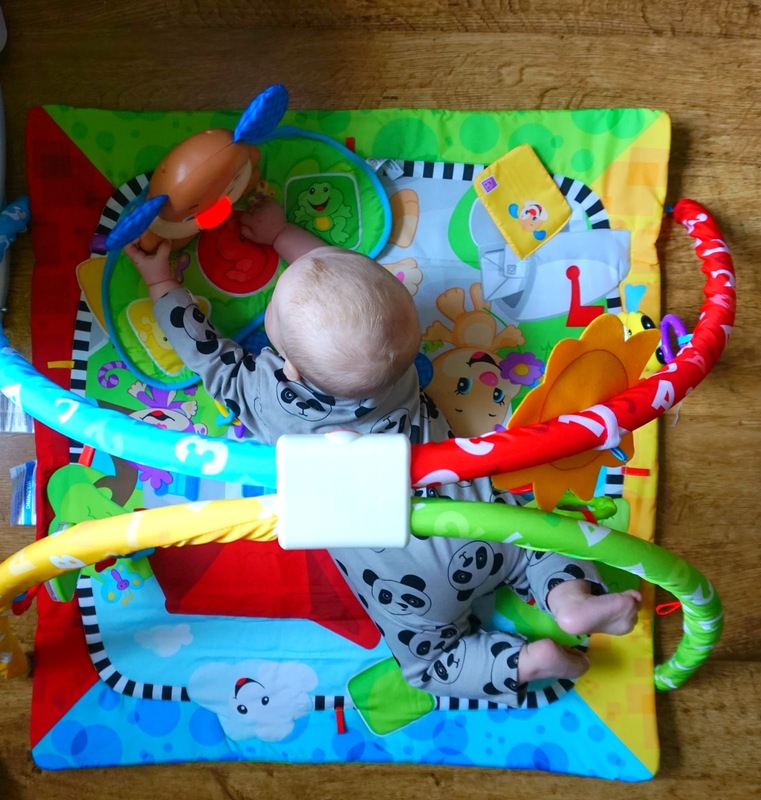 There are six brightly coloured toys included with the play gym. These are great different textures, bright and super for teething. As said above, one of my main reasons for taking an interest in this play gym was the singing Puppy that comes with the play gym. There are two musical settings and the Look and Listen offers 20 minutes of continuous music, that also includes sung songs and instrumental Explore and Discover introduces action and reaction. 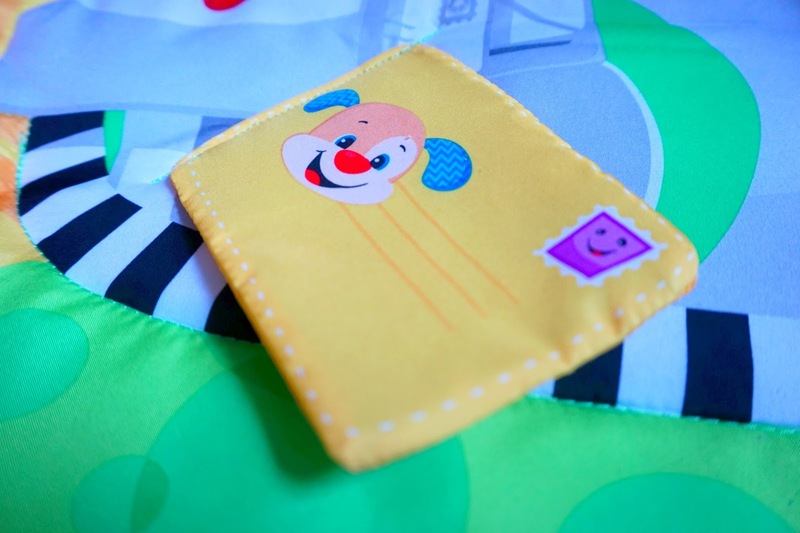 Your baby won't be bored. Freddie absolutely loves the Puppy. When it sings, the nose lights up each time. 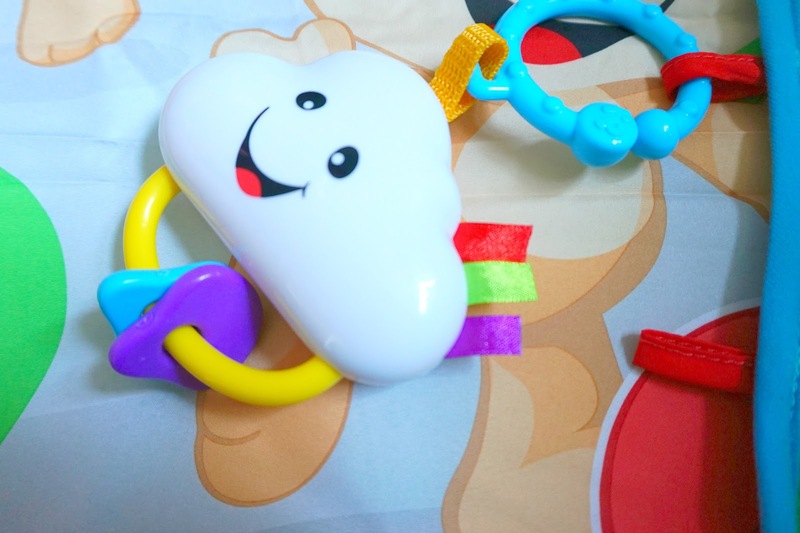 It's great that you can attach and detatch the toys so baby can play. 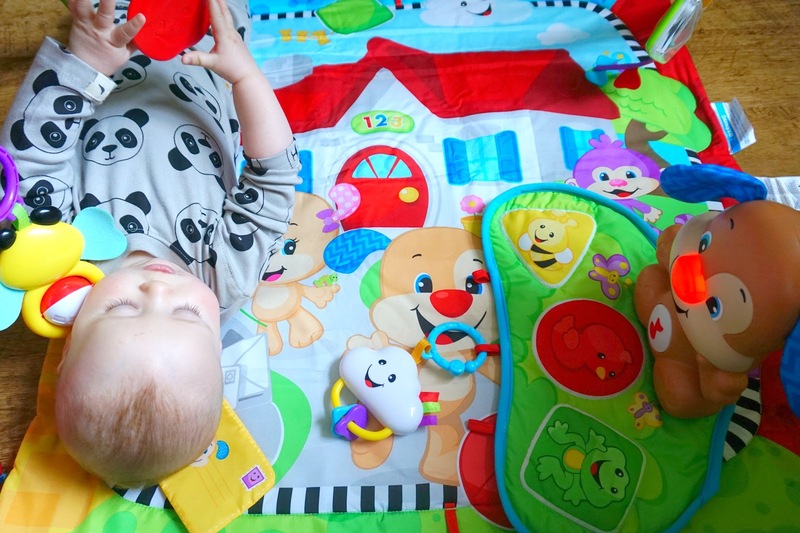 With all the bright colours and modern colourful mat, it's bound to catch your baby's attention. I would most definitely recommend this play gym if you have a newborn or a baby the same as Freddie. 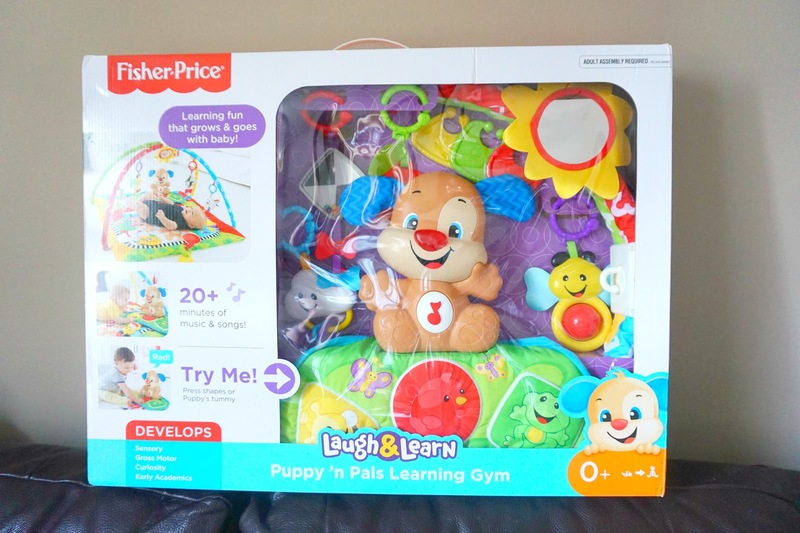 * We were kindly given the Fisher-Price® Puppy 'n Pals Learning Gym free of charge, in return of an honest review. As always, all words, photos and opinions are my own.